This Slim Hard Leather iPad Air Case by Supcase for the iPad 5th Generation is made of premium synthetic leather. The slim fit design with hard shell exterior and soft interior can also be used as an iPad stand. It is available at Amazon at a discounted price. 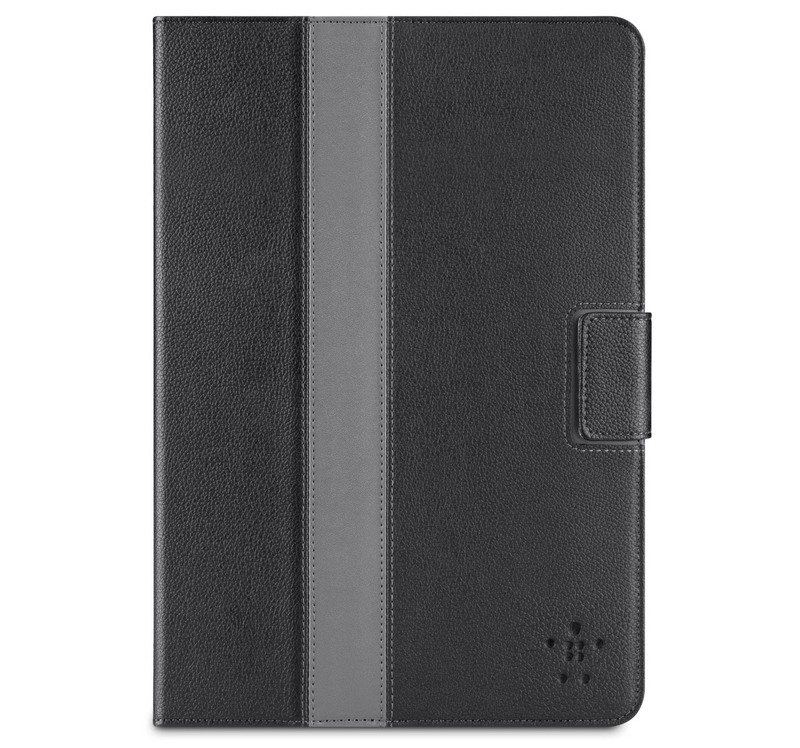 Belkin iPad Mini Leather Striped Cover with Stand is a stylish leather case that features a magnetic tape closure and striped exterior. The lightweight cover has a slim profile and an adjustable stand with multiple viewing angles. 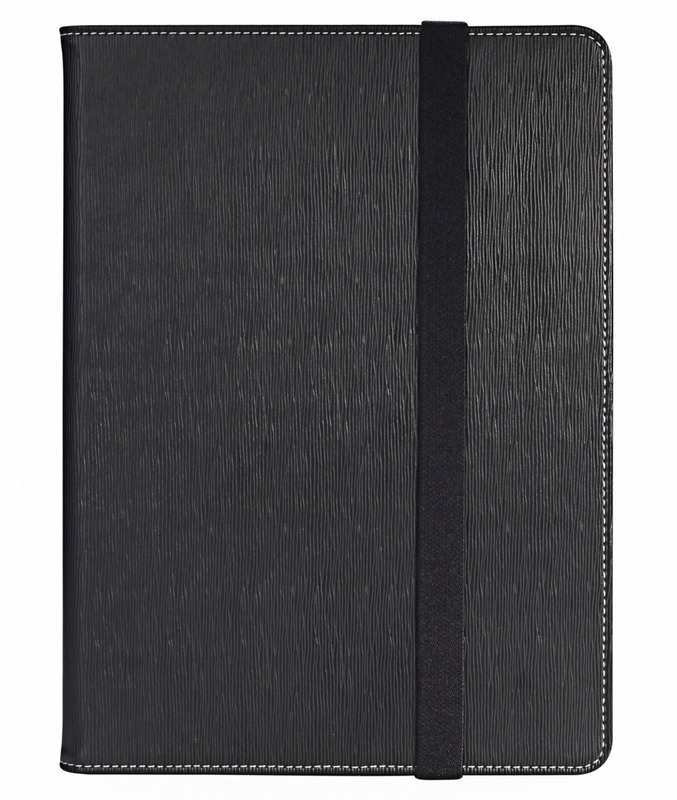 This form fitting leather iPad Mini case is available in Black, Red and Gravel. 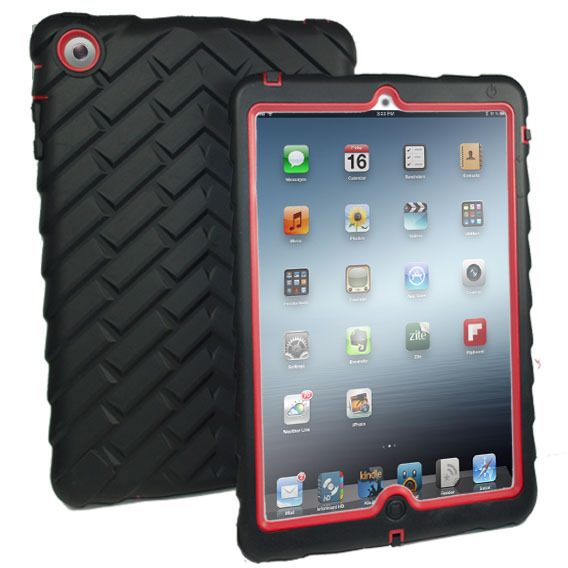 Gumdrop Drop Tech Series iPad Mini Case offers rugged and durable protection for the 7.9 inch iPad Mini. This extreme rugged iPad Mini Case features a snap-on integrated screen shield and a silicone outer shell for maximum protection. It is available in Black/Red, Black and Army Green. Ionic 2-Tone Designer Leather iPad Mini Case with built-in stand by CrazyOnDigital is a beautiful iPad Mini cover with pebble-grain leather exterior. The micro-fiber interior protects your iPad Mini from scratches, and a closing tab secures the device when you are on the go. 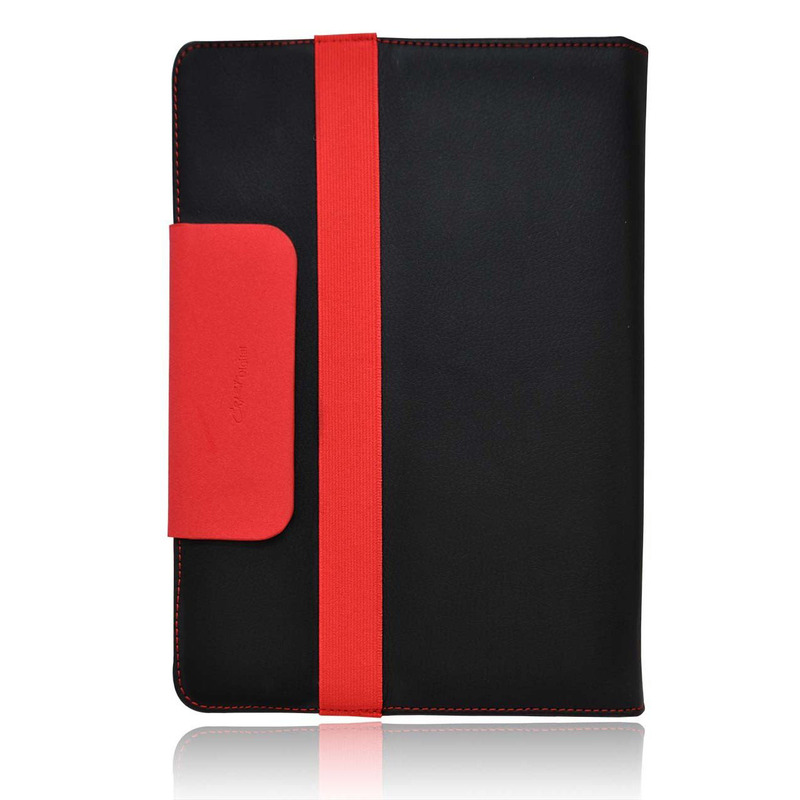 This attractive leather iPad Mini Case is available in Red/Black and Brown/Black. Ionic Hybrid Leather iPad Mini Case Cover by CrazyOnDigital is designed for the new Apple iPad Mini 7.9 Inch. The hybrid leather case also serves as an iPad Mini Stand. The pebble-grain leather exterior is sturdy and stylish, and the interior cover protects the iPad against scratches. 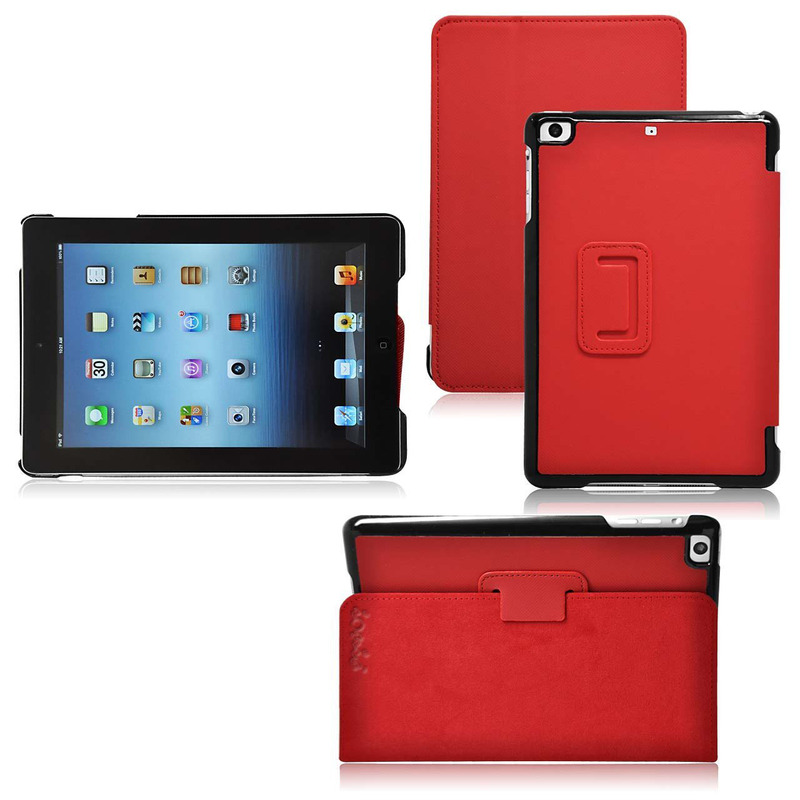 The iPad Mini case cover is available in Red, Gray and Blue. 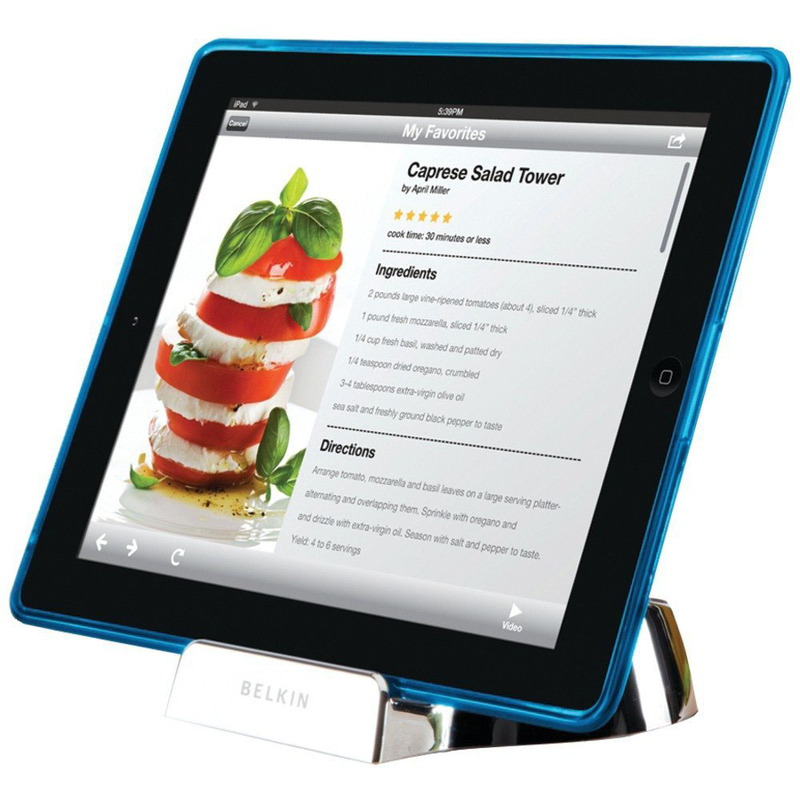 Belkin Chef Kitchen Stand For iPad and Tablets is designed for use in the home kitchen. It is a great iPad accessory for reading recipes while you cook. The Chef Stand also comes with a stylus so you won’t smudge the touchscreen. Belkin Chef Stand offers two viewing angles. The non-slip design is ideal for kitchen countertops.